Whether it’s for traveling, shopping, or basic daily living requirements, keeping track of our finances is just another part of the average homeowner’s daily routine. If you’re planning on moving soon, creating a budget is one of the most important things you can do to keep your expenses down and get the most out of the experience that you can. 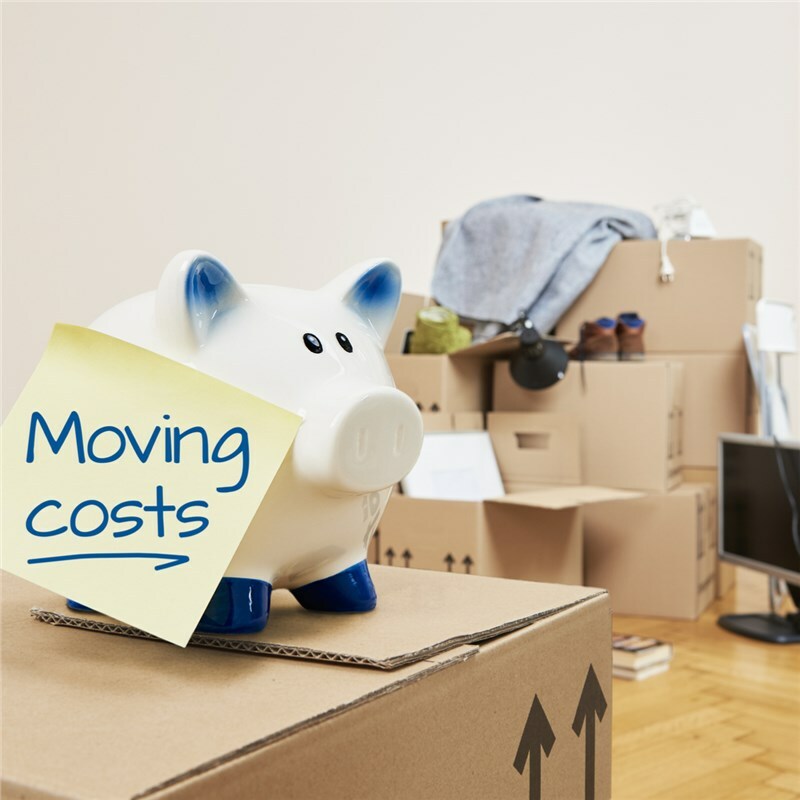 After all, moving can be a costly affair, and setting a solid budget plan for relocation is essential to your financial health—before and after the move is over. At Liberty Movers, we’re the area’s leading experts on moving, offering custom moving solutions at affordable prices. Over the years we’ve been in service, our local movers have helped countless people create highly specific moving plans according to their budgets, and that eliminate the possibility for unexpected costs during the relocation process. In this guide, we’ll help you learn how to create a moving budget that works for you—so that you can get started planning your new life in a new home, without the stress of going overbudget. To get a complete overview of your budget, you will need to make a list of moving facts that detail your moving situation. Include your desired moving dates, and your flexibility around those dates—just in case there are cheaper rates available for other timeframes. Write down how many rooms are in your home, and any items that might be more difficult to move than others—like pianos, high-tech equipment, and vehicles. The most reputable moving companies, like Liberty Movers, will offer highly customized services designed for specific needs, like specialized packing services, rigging and crating, long-term and short-term storage solutions, and much more. Figure out what you’ll need to make your moving experience a breeze before calling moving companies for quotes, and have this information on-hand when speaking with them. It’s hard to know what a reasonable budget is for your move until you get a few pricing estimates from movers. Shop around and try different services. Options include paying for full, comprehensive moving services to renting a self-drive van and doing the work yourself. Whether you are looking for local movers or long distance movers, spending a bit of time collecting several quotes will put you in a better position to set a realistic budget. Beware of unlicensed moving companies offering lower than usual rates for their services. While these rates might seem like a great deal, you could end up paying much more by way of hidden fees and charges. Even worse, unlicensed companies normally aren’t bonded or insured, and you could suffer the loss or damage of your belongings. Instead, hire companies you can trust. You’ll find that the best local movers have a strong online presence, with high ratings from former customers, and a brick and mortar location for the best outcome. Make sure you know exactly how much money you have available for moving, and what amount you feel comfortable spending. As with any purchase, you want good value for money. And a budget is of no use at all if it doesn’t match up with what is in your bank account. A reputable moving company will offer free, in-home estimates to help you determine the exact costs of your entire moving project. At Liberty Movers, for example, our moving coordinators will visit you at your home or business to discuss your specific needs and budget, to come up with a personalized plan that’s right for you and your wallet. When planning relocation, it’s important to be as meticulous about the details as possible. If you’re not careful about taking all the costs of moving into consideration, the extras will add up. If you’ve hired a moving company to help you, you’ll be able to work with your moving coordinator to make sure you’re including all possible costs and staying under budget. The specific costs of your moving situation are completely up to the details. If you’re moving very far away, you’ll need to determine the additional costs and expenses for hotel stays and flights. If you’re driving yourself, don’t forget to add in gas prices, road tolls, snacks, and meals. You might also need to think about renting household storage units. These extras can seem less important when drawing up your budget, but it’s those little costs that can add up to make a significant difference to the total cost of your relocation in the end. There are a few tricks to bear in mind that could make moving easier on your wallet. One way is by choosing the right time to move. Moving in the fall or winter is cheaper than a summer move. A weekday is cheaper than the weekend and the start of the month is usually cheaper than the end. Don’t be afraid to ask moving companies for discounts. They are more likely to offer you a better deal or discount if you are somewhat flexible with your moving date. Let them know you have a budget to stick to, and see what they can offer. You could also ask if they supply free or low-cost moving boxes. Remember, they want your business, so don’t be scared to ask for stuff. Once you arrive at your new place, there are still certain extra costs involved. You will need to have enough left in the bank to pay for the first month’s rent or mortgage payment. Utilities will have to be paid for, as will groceries and other essentials for your new home. Include these in your budget so you aren’t left struggling financially after your move. Following these pointers will put you in a good position to draw up your own moving budget. Take the stress out of your move by being in control of what you spend. For a successful move, make your budget, keep it realistic, and then stick to it! If you’re looking for top-quality moving services for your local or long-distance moving project, we can help. At Liberty Moving, we’re passionate about helping our customers make stress-free, affordable moves to new homes near and far. For assistance creating a moving budget or for more information about our relocation services, give us a call to speak with a representative now. You can also get started with a moving coordinator by scheduling a free, no-obligation pricing estimate in your home today by filling out our online form.